A resilient wall base offers protection for the edges of walls and floors and delivers a nice finishing touch to any room or hallway. Intex Flooring can install resilient wall base made from top-quality materials to resist scuffing, fading, and cracking. We have a wide range of colors, finishes, and sizes to complement the style of any type of flooring. For the material, choose between rubber, vinyl, or a blend of the two. Each varies in appearance, performance, and durability, we are here to help you choose the right one for your facility. 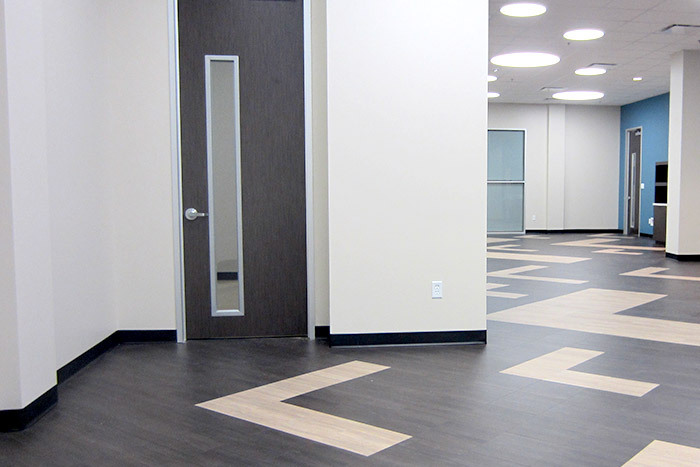 Discover how resilient wall base can enhance the look of your facility with Intex Flooring. Interested in wall base for your building? Resilient wall base helps keep your building's walls looking pristine and scuff-free and add subtle style to your spaces. Reach out to Intex Flooring to discover your options.